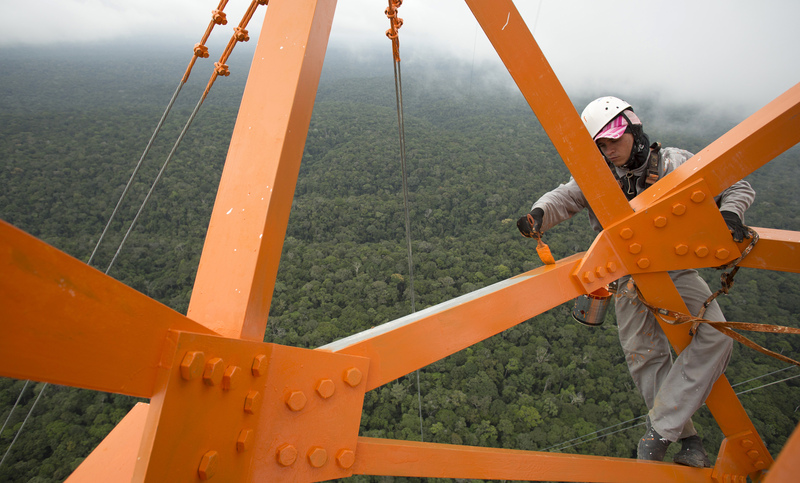 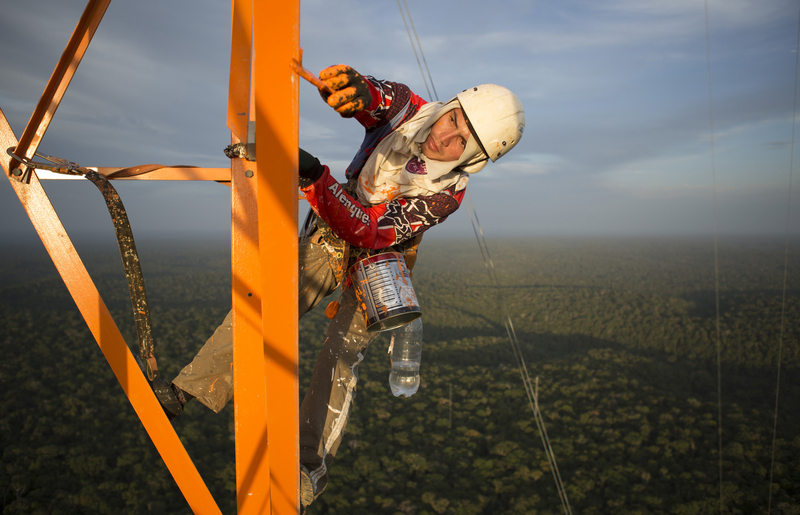 Last August, construction began deep in the Amazon rainforest on what would soon become South America’s tallest skyscraper and the world’s first long-term tropical observatory. 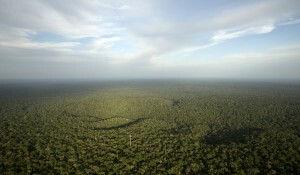 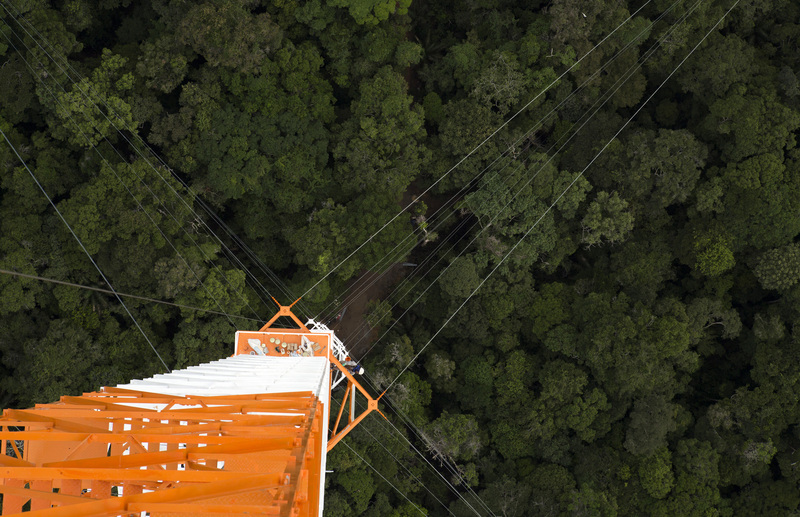 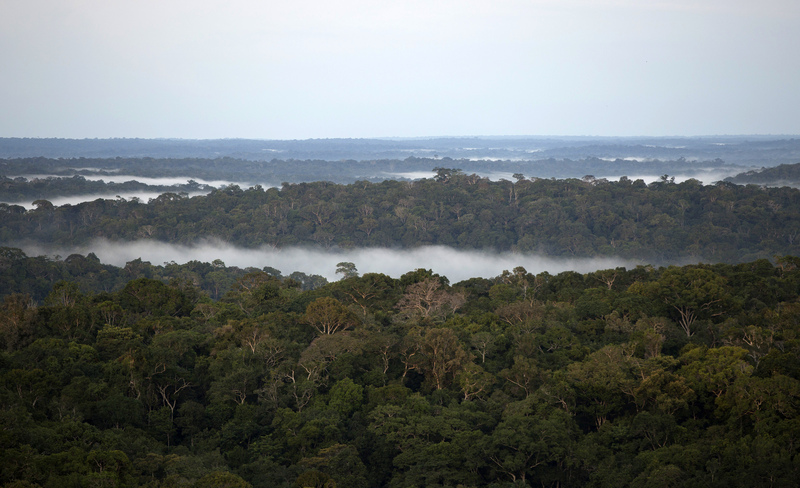 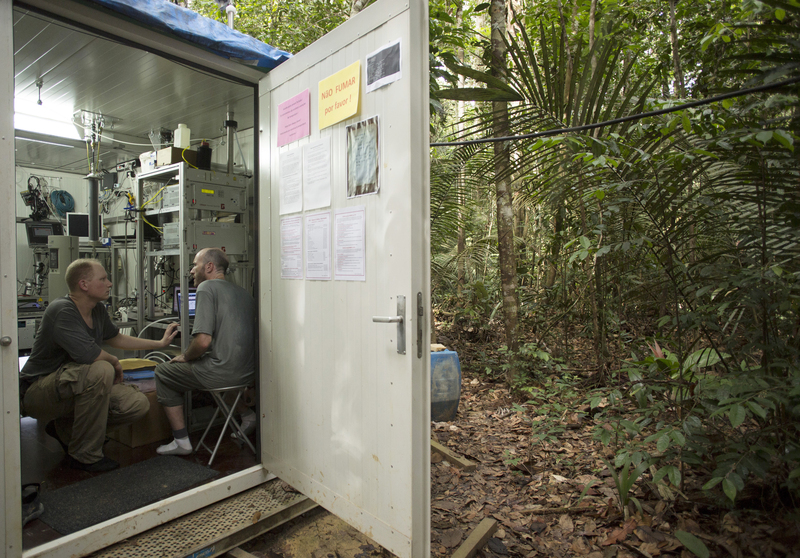 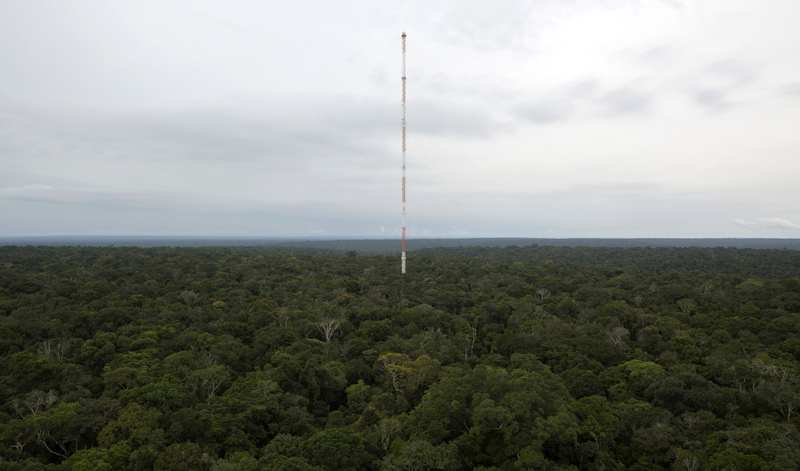 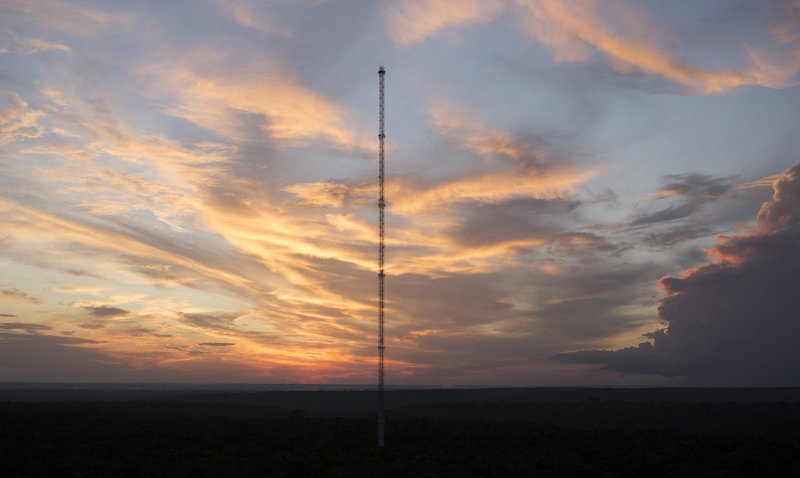 The Amazon Tall Tower Observatory, which stands 1,066 feet tall, is a collaborative project between Brazil’s National Institute of Amazonian Research and Germany’s Max Planck Institute to monitor the relationship between the Earth’s largest rainforest and the atmosphere. 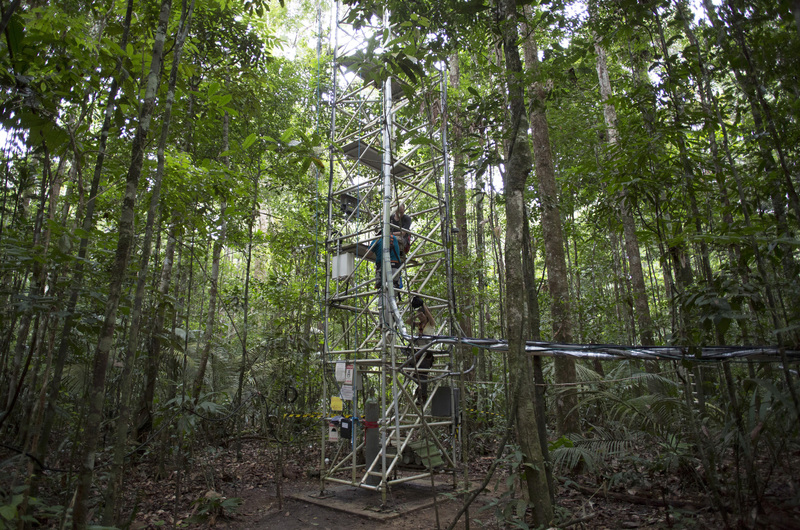 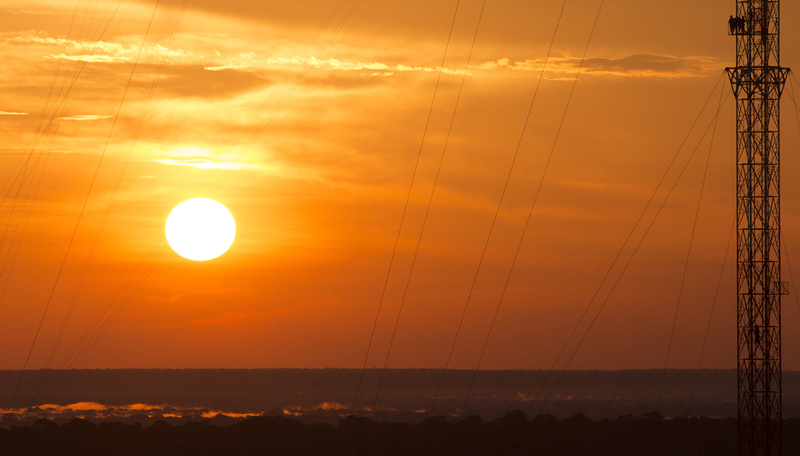 Starting in July, the high-tech instruments on the observatory will gather data on heat, water, carbon gas, winds, cloud formation and weather patterns of the jungle. 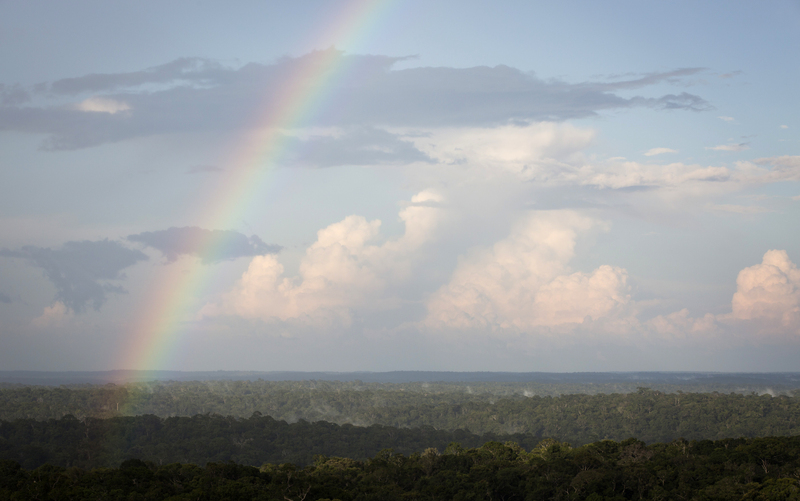 Researchers say it’s essential to monitor the sensitive Amazonian ecosystem due to expected changes over in the upcoming decades caused by climate change. 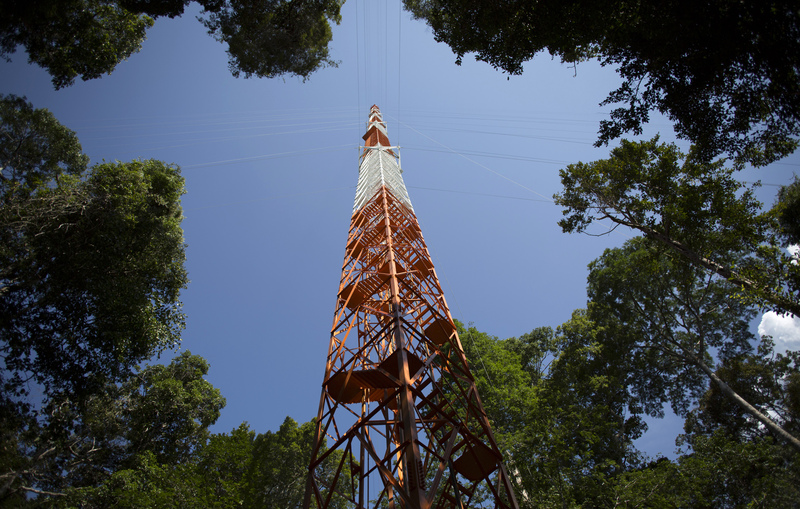 The tower is more than a hundred miles from the nearest city, basically free of human influence.